Samsung has recently unveiled a new budget price smartphone for Indian customers under its Galaxy line up. The smartphone named Samsung Galaxy Star Pro S7262 is now available in India at a price of Rs 6,989 only. 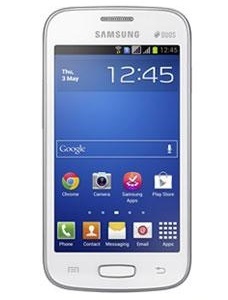 The Samsung Galaxy Star Pro operates on Android 4.1 Jelly Bean OS and it got 4 inch display to grab inputs from user. The smartphone features smart DUAL SIM feature which let users to receive and make calls from first SIM while being call on second SIM. The same feature was there in the previous Galaxy Star but this ‘Pro’ has been added because of some hardware upgrades in the device. Samsung has not done any home work in the design section and the Samsung Galaxy Star Pro looks very identical to all previous budget priced Galaxy smartphones. There is accelerometer sensor in the device which will support gaming on it but for me, it seriously misses out the GPS feature. The dimension and weight of the device will make it comfortable to hold and use with single hand. Another good feature I found in its specs sheet is the Jelly Bean OS. There are smartphones available with similar price tags from other manufacturers but they run previous versions of Android OS than Jelly Bean. If you’ve been waiting for a smartphone running some newer version of Android and having dual SIM card feature then this device is best option for you. This device has been listed right now on the Homeshop18 and very soon it will arrive your nearest local shop too. The actual price of Samsung Galaxy Star Pro in India according to Homeshop18 is Rs 7,550 but they are providing 7% off so users need to pay Rs 6,989 only. As Galaxy Star Pro is a product of Samsung so you can expect better battery life and also good support from their service centers. These two features are good enough if you’re already convinced by its specifications.